The Mt. 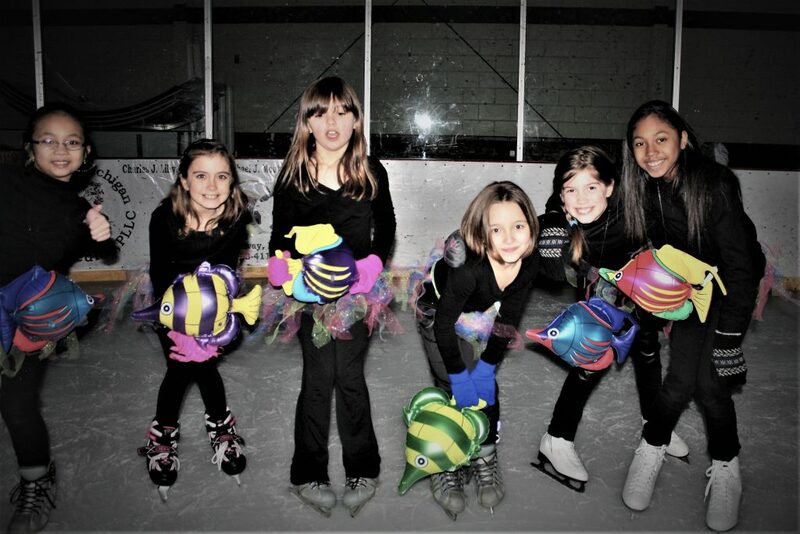 Pleasant Figure Skating Club’s Annual Ice Show, “Just Another Day in ParadIce” will take place on Sunday, February 24, 2019. 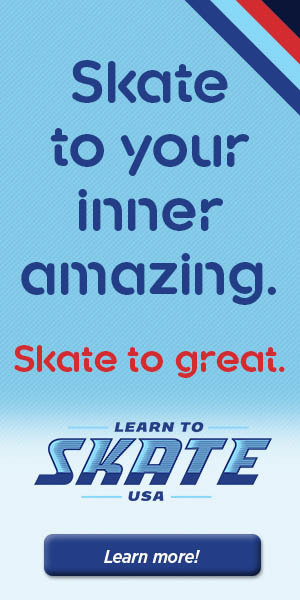 Your skaters will be putting their best skate forward, showcasing all of the skills they have been learning from their Learn to Skate Instructors and Private Coaches. During the show the spotlight will shine on them as they perform for you, their family and friends, and celebrate all the hard work they have put into their lessons and programs. We want to offer you the opportunity to give a “shout out” to them and all their efforts this session, by purchasing a “Happy Ad” in the show program. 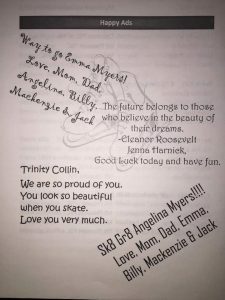 For just $5 you can put in an encouraging note to your skater and wish them luck on what are sure to be some showstopping performances. If you click here you will find a pdf of our “Happy Ad” form with instructions on how to get a note to your skater in the program. You can also pick up a copy at the Learn to Skate Cart during lessons. Please note, to insure placement in the program all forms and payments must be turned in by Thursday, February 7, 2019. All happy ad and advertising questions can be addressed to Sarah Kunik at kuniksarah@gmail.com.